(l to r standing) Bonnie Lui, Festival secretary, Ryde Clr Trenton Brown, Parramatta MP Dr Geoff Lee, winner of the cooking competition, Festival God of Fortune, Clr Penny Pedersen, Ryde Mayor Clr Jerome Laxale, Dog mascot, Ryde MP Victor Dominello, Bennelong MP John Alexander OAM, Festival chairman Hugh Lee OAM and Ryde Clr Bernard Purcell and kneeling Councillors Chris Moujalli, Simon Zhou, Dr Peter Kim and Jordan Lane. TWT on-the-spot PHOTO. 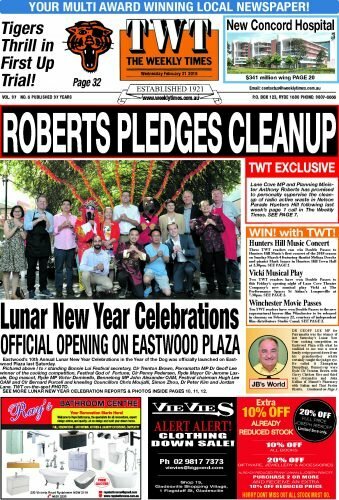 astwood’s 10th Annual Lunar New Year Celebrations in the Year of the Dog was officially launched on Eastwood Plaza last Saturday with a colourful opening ceremony. Three Members of Parliament, eight Ryde City Councillors including the mayor and distinguished guests were invited by Festival chairman Hugh Lee OAM to take part in the opening ceremony and cutting the ribbon with a multitude of scissors. 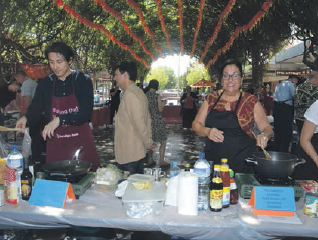 The opening ceremony preceded the popular annual opening event of the festival cooking competition which this year was ultimately won by Parramatta MP Dr Geoff Lee. 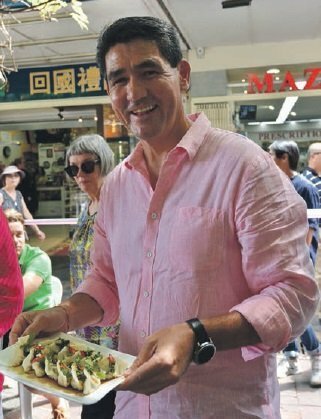 Geoff Lee’s winning entry was his grandmother’s family secret recipe Zhongshan Dumplings which was described by the judges as spectacular and tantalisingly delicious. First runner-up was Ryde Councillor Trenton Brown with his Red Duck Curry dish which the judges said was superb with fresh lychees, red curry paste, cherry tomatoes, basil, coconut milk and a whole Peking duck. Third prizewinner of Italian and Thai Fusion Risotto was presented by Alexandra and John Kollias of Mazzei’s Eastwood Pharmacy. Society of Sydney and Raymond Chan from the Chinese community. The Festival continues over the next two weekends with turning on the lanterns this Saturday and the annual big day celebration Saturday March 3 with musical items and festivities on the Plaza stage near the flagpole. 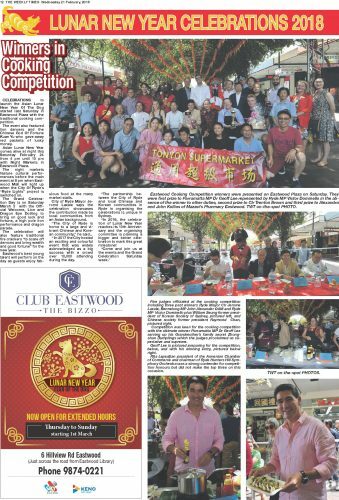 Eastwood Cooking Competition winners were: First prize, Parramatta MP Dr Geoff Lee (who left early due to other commitments) was represented by Ryde MP Victor Dominello; Second prize, Ryde Clr Trenton Brown; and Third prize, Alexandra & John Kollias, Mazzei’s Pharmacy, Eastwood. TWT on-the-spot PHOTO. 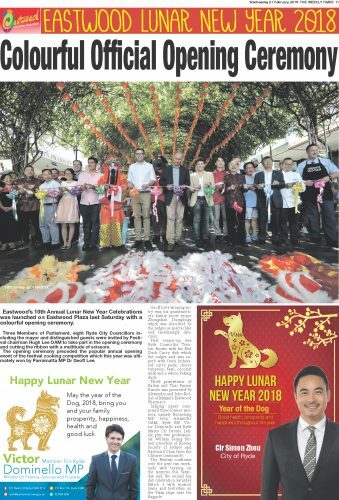 CELEBRATIONS to launch the Asian Lunar New Year Of The Dog started last Saturday in Eastwood Plaza with the traditional cooking competition. The event also featured lion dancers and the the Chinese God Of Fortune Kuan Yu who gave away red packets of lucky money. Asian Lunar New Year comes alive at night this Saturday February 24 from 4 pm until 10 pm with Night Markets in Eastwood Plaza. The night markets feature cultural performances before the main event at 8 pm when Eastwood Mall will light up when the City Of Ryde’s “Ryde Lights” project is switched on. The Grand Celebration Day is on Saturday March 3 with the Official Welcome, Lion and Dragon Eye Dotting to bring on good luck and fortune, a high pole lion performance and dragon parade. The celebration will also feature traditional fire crackers “to scare off demons and bring wealth and good fortune” for the new year. Eastwood’s best young talent will perform on the day as guests enjoy fabulous food at the many market stalls. City of Ryde Mayor Jerome Laxale says the celebration showcases the contribution made by local communities from an Asian background. “The City of Ryde is home to a large and vibrant Chinese and Korean community,” he said. “The partnership between the City of Ryde and local Chinese and Korean communities in Ryde in organising the celebrations is unique in Sydney. 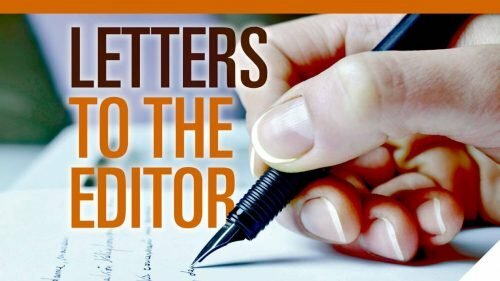 “In 2018, the celebration of Lunar New Year reaches its 10th Anniversary and the organising committee is planning a bigger and better celebration to mark this great milestone! Competition was keen for the cooking competition with the ultimate winner Parramatta MP Dr Geoff Lee (above left) serving up his Grandmother’s family secret Zhongshan Dumplings which the judges proclaimed as superlative and supreme. He is pictured with his winning entry. Five judges officiated at the cooking competition (above centre) including three past winners Ryde Mayor Clr Jerome Laxale, Bennelong MP John Alexander OAM and Ryde MP Victor Dominello plus William Seung former president of Korean Society of Sydney (left of Mayor) and Chinese society former president Raymond Chan (right of Mr Dominello). Rita Lepedjian, president of the Armenian Chamber of Commerce and chair of Ryde Hunters Hill Symphony Orchestra (above riught), was a strong contender for competition honours but did not make the top three on this occasion. TWT on-the-spot PHOTO.